Soot, also known as black carbon, has an atmospheric half-life of just a few days, unlike the century-long staying power of carbon dioxide. That suggests that efforts to curb black-carbon emissions could have an immediate impact on warming. While the finding is no excuse to continue efforts to curb carbon dioxide emissions, "we have a potential for slowing warming by doing black carbon mitigation as well," Sarah Doherty, an atmospheric scientist at the University of Washington, told NBC News. Doherty is one of four lead authors of a four-year study that resulted in the 232-page report published Tuesday in the Journal of Geophysical Research – Atmospheres. The report provides a comprehensive assessment of black carbon’s climate impact. Even before they did their analysis, the researchers knew that soot probably played a significant role in the process of global warming. But they were surprised to find that black carbon's contribution is twice as large as reported by the Intergovernmental Panel on Climate Change in its 2007 assessment. "It was not the result that we expected," Doherty said. Black carbon affects the global climate through myriad mechanisms. It absorbs sunlight, leading to atmospheric warming. Particles of the stuff can change the properties of clouds, making them less reflective. "Then there is black carbon getting deposited on the snow and ice and making it darker so it absorbs more sunlight. It warms the surface of the earth, and it also produces earlier snowmelt," Doherty explained. The team accounted for all of these effects — as well as the fact that sources of black carbon such as burning forests also emit aerosols, which reflect sunlight and have a cooling effect. In other words, the emissions from some sources cancel each other out, at least over the short term. For anyone concerned with slowing climate change, the goal is to identify which sources of black carbon to target in order to gain the most bang for the buck. According to the analysis, those sources are "diesel engines and burning of wood and coal for domestic purposes, like for cooking," Doherty said. New standards in place in the U.S. and Europe have already ushered in clean-burning diesel cars and trucks. 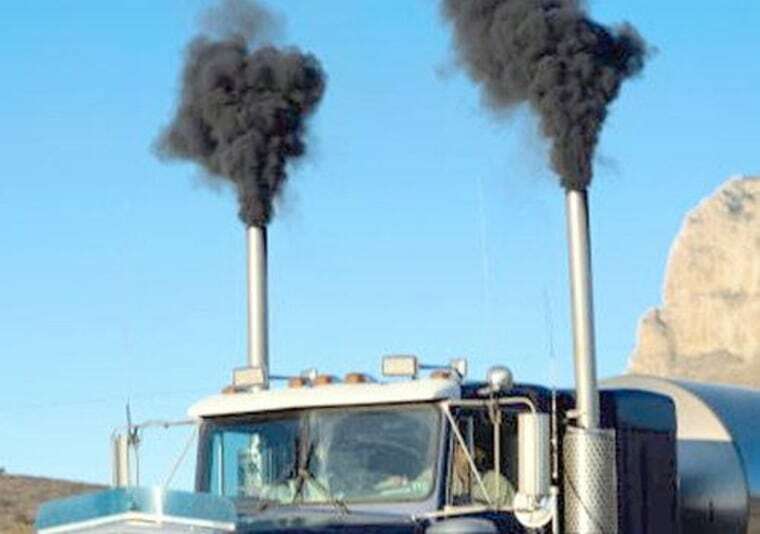 Rolling out the technology to the developing world could have a large impact on soot emissions. Cleaner-burning cookstove technology is available as well. It becomes a matter of cultures being able to afford and willing to embrace the change, Doherty explained. Doing so also has a side benefit of improved health, which could strengthen the case for spending the money on programs to promote cleaner-burning stoves. But none of this, she stressed, should be approached at the expense of efforts to curb emissions of other greenhouse gases, notably carbon dioxide. She likens it to treating patients whose chronic boozing causes liver failure — and finding out they also eat fast food at every meal, which is also bad for the liver. "You would never say to them, 'Well, stop eating fast food, but you can keep on drinking for a while, and once you've gotten that fast food out of your system, then you can worry about cutting back on your drinking," she said. "You wouldn't do that."